Today Sarah and the Nelsonville-York Marching Buckeyes and many other high school bands joined the Ohio University Marching 110 at Peden Stadium in Athens for Band Day. 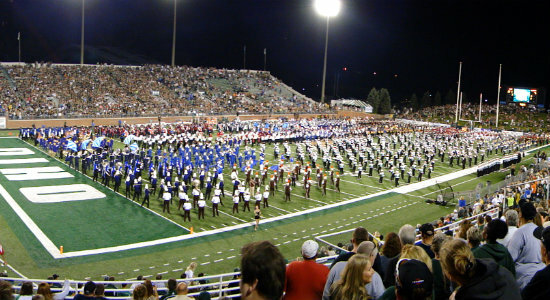 They performed during pre-game and halftime of the O.U.-North Texas State football game. Click here to see the rest of the pictures of Band Day at O.U. I was so proud to see my Sarah and the rest of the band playing with the Marching 110. The Bobcats went on to win 27-21 over North Texas.